The Honda Civic 1.0 VTEC – is it any good? Want the short answer? Yes, although not in a way you might have originally thought. The Honda Civic 1.0 VTEC is as far removed from its Civic Type R brother as is possible. They lie at the complete opposite ends of the Civic lineup, but weirdly, they’re both the best at what they do. How? Allow us to elaborate. You see, as fast as the Type R is, it’s not exactly what you’d call usable. Let’s be real, when are you ever going to unleash 306 horsepower on the public road? The national speed limit comes up so quick that you get a few seconds of full throttle shenanigans before you have to back off or risk going to jail for several years. Now, if stats are anything to go by, the smallest Civic is a large disappointment. We were told downsizing would be a thing of the past, but the new Civic completely debunks that claim. The old naturally-aspirated 1.8-liter unit has been replaced with a, wait for it, three-cylinder 1.0-liter VTEC unit. So not only does it lose a cylinder in the process, but almost an entire liter from its entire displacement as well. Surely it can’t be better then… right? Wrong. The 998cc engine feels, and we can’t believe we’re saying this, decently quick. Actually, allow us to rephrase that. It feels not slow. It makes a rather measly 129 horsepower which allows it to ‘sprint’ to 62 mph in 11.2 seconds, but it genuinely feels faster than that, we promise. It feels eager to rev, clinging on to the high rpms for as long as you ask of it. It’s a revelation compared to the dull Golf 1.0 TSI, and right on the money with the old Focus 1.0-liter EcoBoost. It’s a Honda though, so you get something you don’t with the other two: stellar Japanese reliability. The chassis hasn’t been tinkered with too much, so it’s still as agile and nippy as any other Civic. In fact, we’re going to argue that the turn in is miles better than any other Civic on sale (bar the Type R). The lack of weight over the front axle makes understeer a nonexistent issue at regular speeds, livening up the entire car. 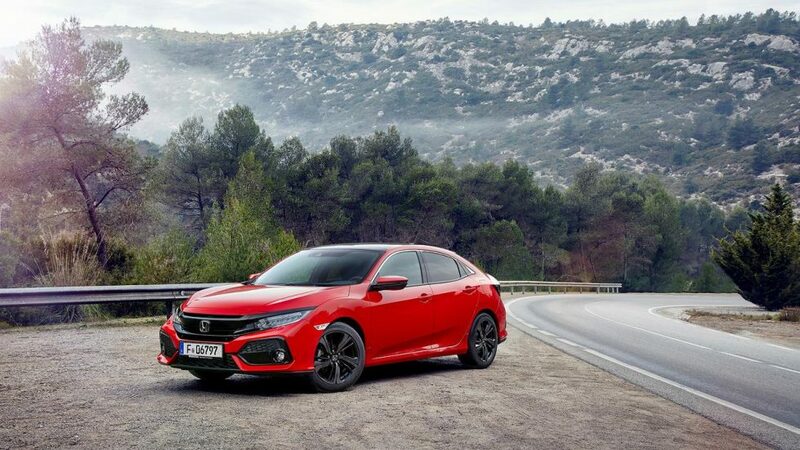 The main focus with downsized engines is economy and efficiency though, so you’ll be pleased to know that the Honda Civic 1.0 VTEC emits just 117 g/km and does a claimed 55.4 mpg. We’d still prefer a larger engine, but as a fun runabout, it’s not bad. Not bad at all.